Our small farm shop is situated in the barn opposite the farmhouse. 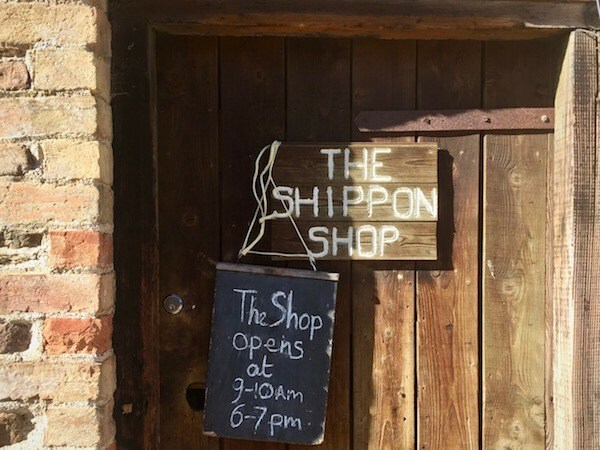 It is called Shippon as it was once used to milk house cows by hand. It is open daily for an hour each morning (9-10am) and evening (6-7pm) from the Whitson bank holiday (end of May) to early September. A local baker delivers bread and cakes. We also stock fresh milk, free range eggs and basic previsions, like house hold toiletries. 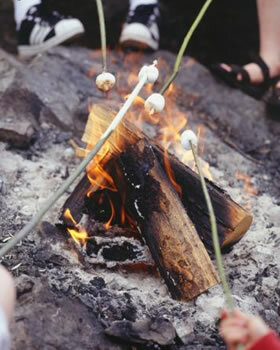 Marshmallows are also sold and considered a must for the campfires. Fresh produce, such as vegetables and fruit are limited. We produce our own beef, lamb and pork, which is slowly reared on the grassy hills of Exmoor, hung and butchered in a traditional manner which reflects it’s wonderful taste and texture. ** The availability of meat varies; however, we generally stock produce suitable for bbq’s (e.g. sausages, burgers, steak and bacon). ** Large groups and school parties are encouraged to order food two weeks in advance of arrival. Please email us to place your order.